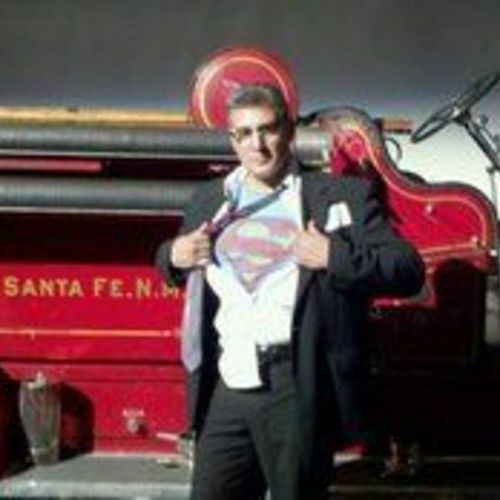 I'm a 20 year veteran of the Santa Fe Fire Department and hold the rank of Captain. I am also an EMT-I and have worked several shows as the set medic. These shows include The Lost Room, The Eye, In the Valley of Elah, Gamer, The Resident, The Manhatten Project, True Grit, Cowboys & Aliens, The Spy Next Door, Passion Play, Terminator: Salvation and The Avengers. I have been involved with the film industry for over 20 years where I started off with my first job as an extra in City Slickers. I went on from there to work on Lucky Luke, Buffalo Girls, White Sands, All the Pretty Horses and The Longest Yard. I've also done an infomercial for a the pharmacutical company that sells Embril. Unique traits: I have a scar on the corner of my left eye. I also have brands of chinese characters on the upper part of my arms.